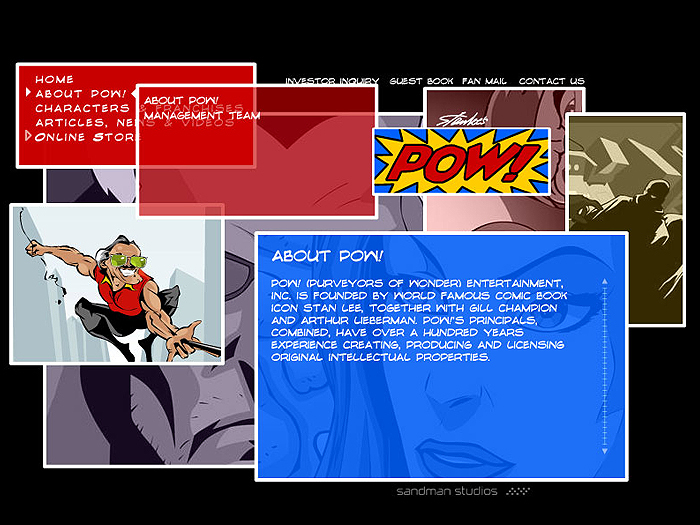 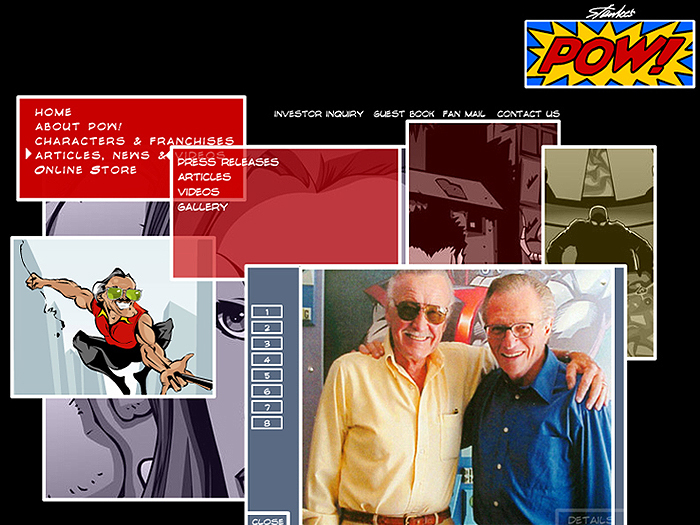 Film Roman contracted us to build a website that was to be designed to replicate a comic book. 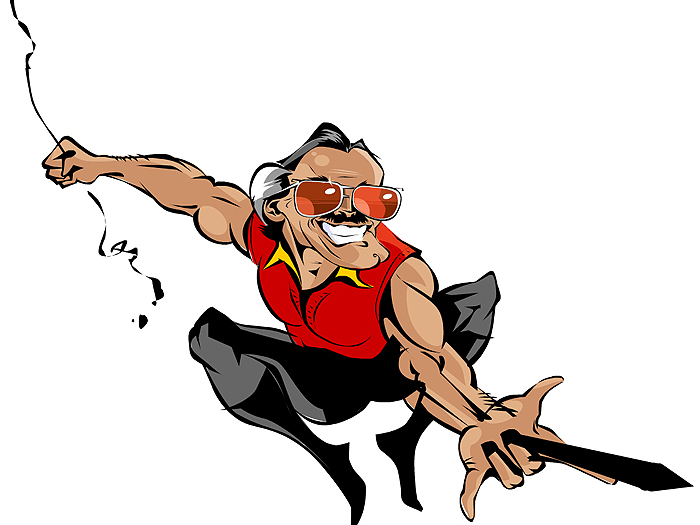 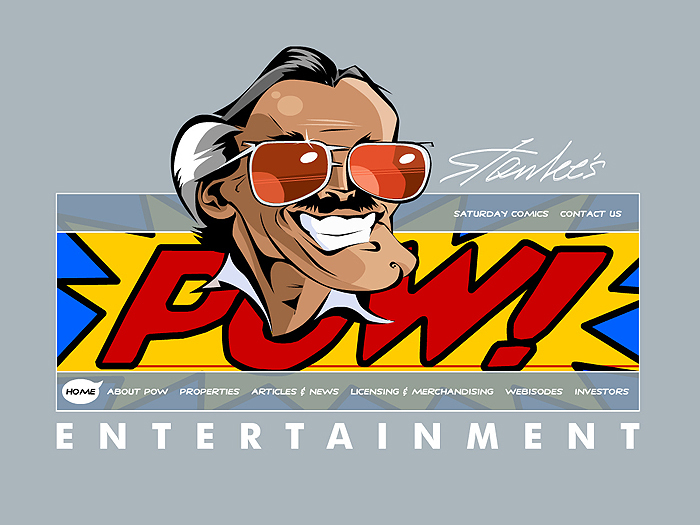 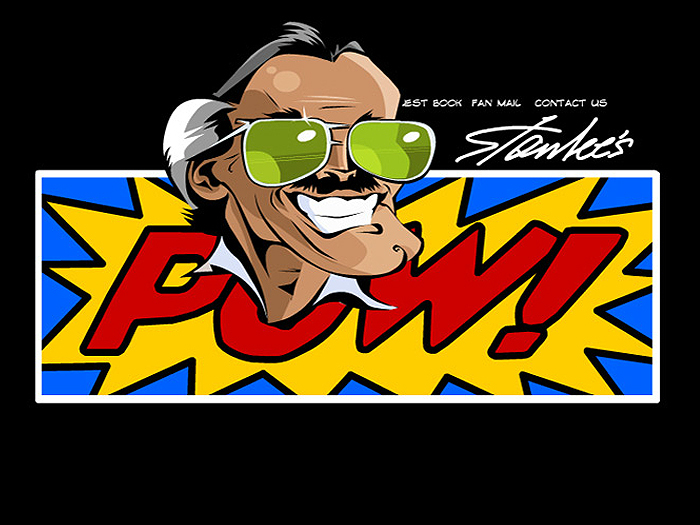 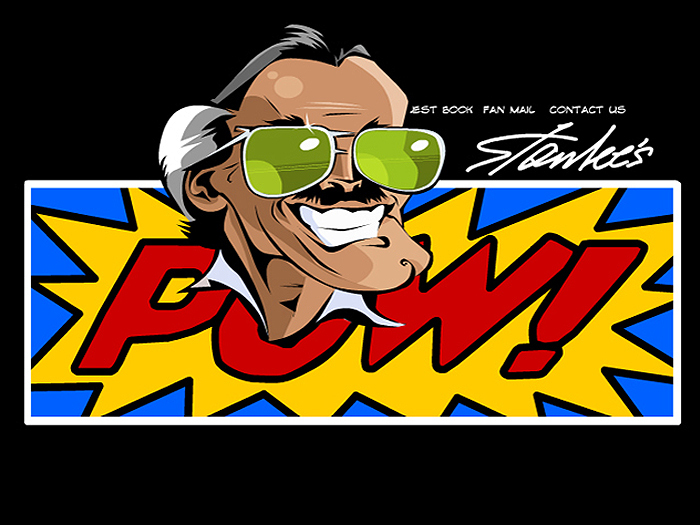 Within this context we were also asked to create a character of Stan Lee. 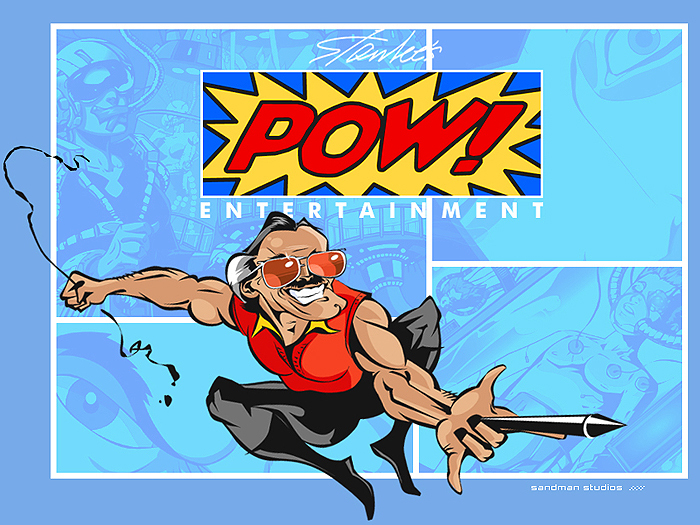 This task was not easy but the end result was approved after the second pass from Stan Lee is himself.